VERDENTINE (POV), a boy of seventeen, emerges from a cooper mine to discover his village burned and all whom he has loved put to the sword. Remaining at the site, he can imagine nothing but rebuilding the village, even if he must do it alone. Hoping for guidance, he travels to a nearby temple only to find it has been burned, too. The third day, he fights off wild dogs attracted by the decaying bodies. Realizing that he cannot stay, he agonizes over two choices: he can travel to a nearby village and apprentice to the innkeeper there, continuing life much as he has known before, or he can attempt to become a mage. The second option, initially but a fantasy, was the result of hearing a well-known story, The Hero of the Pass of Varron, told one night by a sailor staying at the inn where he was indentured. The sailor was the first man with whom Verdentine ever slept. 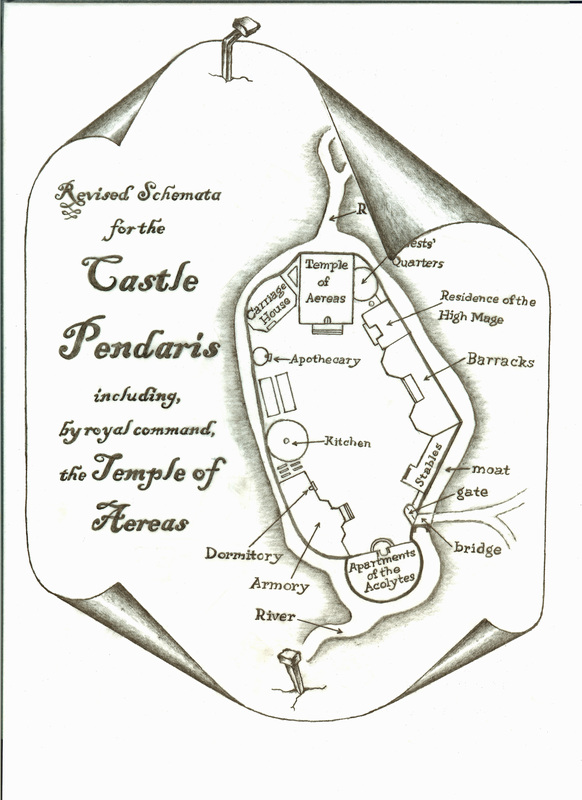 Becoming a mage will require him to cross the channel to the mainland and travel overland to the Castle Pendaris. On a mainland road, he flees into the woods to escape “slavers.” On his way back to the road, he spies, in a washout, a peculiarly shaped rock at the bottom of a ravine. It is the partly exposed body of a woman. He is astonished to see that there is no decay from her burial. After much trepidation, he touches her bracer to see if she is real–and is rendered unconscious. He wakes in the cottage of an old woman, BENNICAN, who nurses him back to health. He explains that he is on his way to Castle Pendaris to become a mage. She tells him they will not accept him. Only the wealthy can afford to train at the Castle. She is (ostensibly) an herbologist and persuades him to remain and help her with her gardens. A wagon with two boys, JASTON and GERLICK, arrives to pick up herbs for the Castle Pendaris. Gerlick tells Bennican and Verdentine about the body of the NAKED LADY found by woodsmen. Bennican suspects Verdentine knows something of this. Verdentine discovers that Bennican is knowledgeable of magic and persuades her to teach him. At his first lesson, he blasts a hole in the side of a shed. He has, evidently, prodigious powers for harvesting manna, the fuel of magic, but no control of it. 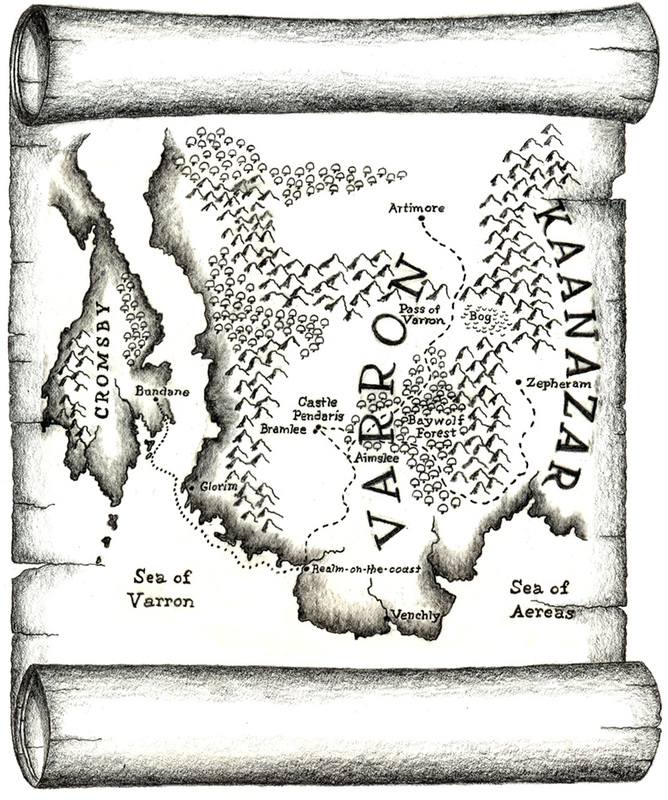 It is also clear that his talents lie in the realm of Earth Magic, which is forbidden, although it was the official magic of Varron before the country’s defeat by Kaanazar. Verdentine admits to Bennican that he discovered the naked lady, and he was rendered unconscious when he touched her bracer. Bennican is alarmed and sends a message to the ancient alchemist, CALTHOR, who comes and persuades Verdentine to go the Castle Pendaris as his apprentice in alchemy. Verdentine is reluctant, as he has grown attached to Bennican, but Pendaris was his goal all along. 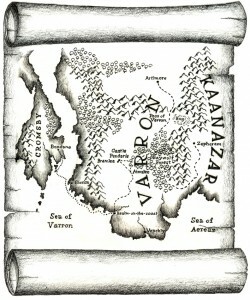 He hopes, in the back of his mind, to find a great wizard, like the hero of the Pass of Varron, with whom to study. 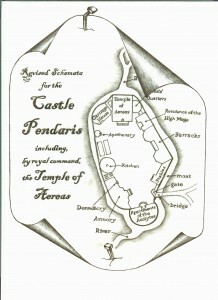 The rest of the story takes place at the Castle Pendaris where Verdentine finds love in the most unexpected place, where he becomes involved in the Varronses independence movement, and where he must deal, not only with the return of the “naked lady,” but with the most feared man in the two kingdoms, the High Mage Kassraba.